Awaken your senses at Swissotel Resort Phuket Patong Beach, where the ultimate Phuket beach break awaits. Relaxing holiday escape with turquoise sea and blue sky. The resort is perfectly blended of Swiss Vitality with accents of vibrant colour. Spaciously inspired by the tropical beauty of Thailand. 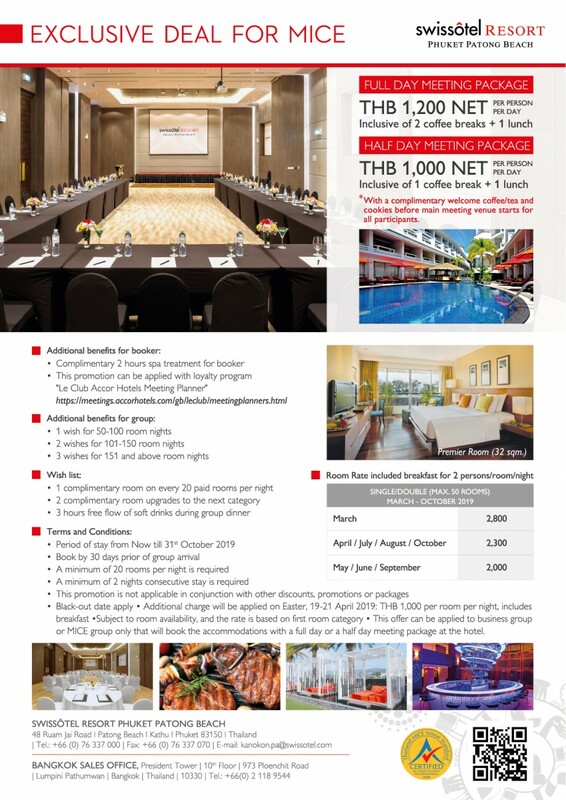 Ideally located in the lifestyle and entertainment hub of Patong Beach. Only 200 meters away from the beach, surrounded by convenience stores, shopping centre, and the entertainment district. Our resort comprises 383 contemporary designed guestrooms. Each of our rooms and suites are designed for comfort and relaxation. Discover a pristine resort pool with a swim-up bar in the middle of the building. Pamper yourself at authentic Thai Spa, the perfect place to escape into a world of blessedness and enjoy a wide selection of revitalizing body and beauty treatments. Alongside, keep fit with fully equipped at the fitness centre. During your stay and relax, your kids will be excited with marvelous activities at Kid’s World. An amusement and recreational activity zone for children that will keep them entertained and active. Also, experience selection of quality dining at Flavours and Grab & Go. In addition, you can take the time to enjoy some well-earned relaxation at Dbar. Similarly, a remarkable experience at On Top Rooftop Pool & Bar. To unwind your holiday with beautiful sunset of Patong Bay. 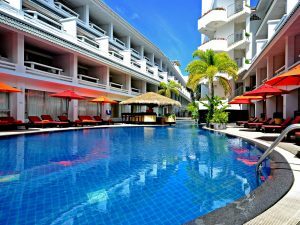 Swissotel Phuket Patong Beach prides itself with its wide choice of high-class meeting and events’ venues, that certified by TCEB Thailand Convention and Exhibition Bureau. 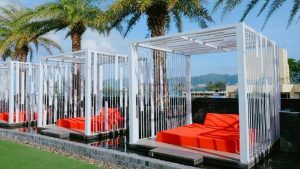 We offer a wide selection of exclusive meetings and events spaces in Phuket for every size of corporate and social event. 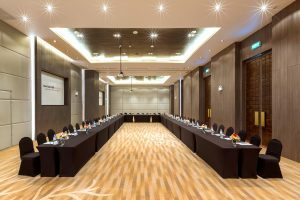 Our new contemporary ballroom that can be divided to three sizeable meeting rooms. Click here to find more about our exclusive deals. Swiss Signature Room (Newly Renovated) is tastefully decorated with contemporary style. The room offers plenty of space for both couples and families to unwind in. Moreover, you can choose between a city or pool views, one king or two extra-large double beds (4.5 ft each). Dive into the comfort of your bed with a high-quality mattress to deliver a sensation of supreme softness. Stay connected with complimentary WiFi. Tasting Italian cup of coffee at your own comfort with Segafredo coffee machine. 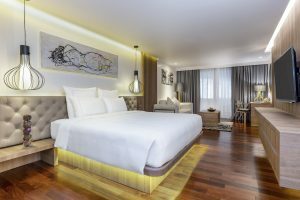 Each Swiss Signature Room offers a functional work area, an interactive entertainment 55” LED TV, Rain shower and sophisticated Purovel bathroom amenities. Find out more about Swiss Signature Room or Book now to get the best packages and deals. Relaxing holiday coupled with new found friends at the Swissotel ! My spring break with my son!! Had a good time with Friends.